NTS results have the same importance and value for the candidates as any other result. NTS stands for National Testing Service. National Testing Service is a nationwide institution established in 2006 to conduct NTS test for different purposes. Either for different jobs in different fields or for admission in different affiliated universities of Pakistan. In addition to this, this institution also arranges tests for many NTS commonwealth scholarship and competitive exams as well. Actually it is a multipurpose institution and provides an easy approach to the people of Islamic Republic of Pakistan. It is working successfully for many years and providing sufficient service to its customers as much as possible. Offices of this institution are situated in almost all the main cities of Pakistan like Lahore, Karachi ,Islamabad, Quetta etc. The complete information and comprehensive information about this institution as well as about the upcoming projects. Available jobs in NTS, scholarships, and upcoming admission. NTS test schedule of different universities as well as colleges all around the Pakistan is also available on its official website www.nts.org.pk. In this era of modern technology anyone can have access to its official site just by a single click. 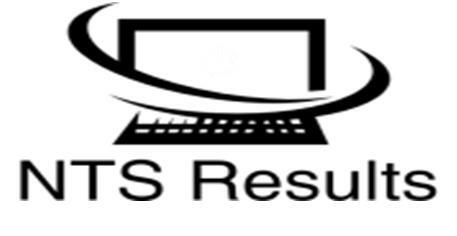 NTSresults.org not only provides an easy access to the aspirants but also provides access to NTS sample papers. NTS results of recent jobs as well as giving the option to view NTS new projects that have announced by NTS at different level and in different fields. Also it leads us to download NTS application form, roll number slips of NTS, answer keys of NTS test and NTS queries Form. National aptitude test is of the purpose to get admission in different universities (Quaid-i-Azam University Islamabad (Quaid-i-Azam School of Management Sciences & School of Economics, Department of Pharmacy, COMSATS Institute of Information Technology, Fatima Jinnah Women University, Rawalpindi) etc. of Pakistan which allow their students to pass the NTS NAT to get admission in different departments. Graduate Assessment Test GAT GENERAL is another kind of test which is held for the admission of M.S and M.Phil students. GAT results remain valid for two years. If a student wants to get admission after two years of passing NTS GAT test, he must appear in GAT again, and the previous result will not be valid for this admission. There are further conditions for the candidates who want to appear in this test. Candidates must have 16 years of education. Candidates will have to qualify for the specific NTS GAT subject test criteria assigned by universities. The registration process of NTS is very easy. First of all the candidates have to get registration form of NTS. Along with fee slip the process and the information about the filling of NTS form. Detail about the documents which are necessary for this purpose is available at NTSresults.org. Following things will be in hand to fill the NTS application form. Applicant can also download NTS roll no slip from the official web site of NTS. In order to obtain online roll no slip of NTS the candidate must have his or her NIC number. If the photograph of the candidate is not on the slip he or she should paste his or her fresh photograph on the slip. During the time of waiting for roll number slip the candidate must focus on his or her preparation of NTS paper. The best way to prepare oneself for the test is to go through the NTS past papers. NTS past papers are available at NTSresults.org. Sample papers for NTSe are also available for different posts. How to get NTS Latest Results ??? After attempting the test the most important moment for which the student wait is the date of result. Because this is the first and foremost step for any candidate to go for further procession to get that job. Similarly the NTS results also keep the same importance and value for the candidates who are eagerly waiting for their result of NTS test. The NTS results of different tests updated by the NTS result compiling department after a few days of test. Also the students would provided with NTS answer keys result to check their NTS test marks by themselves. NTS Pakistan Railway jobs test result also update here. Similarly test result of Lesco jobs, Railway jobs that are announce via NTS. The online way is also available for the candidates to check his/her NTS results. On this site the results of latest posts as well as the results of GAT, NAT, TOEFL. Scholarships test are available as early as possible. Candidates can also see their NTS result by CNIC as well as check NTS result by roll no. Here on this page candidates will have facility to check his or her NTS result by name. In Pakistan many of high profiled educational institutes have made it necessary for those students looking for admission to pass the tests apprehended under the supervision of NTS. Check blog posts from here.